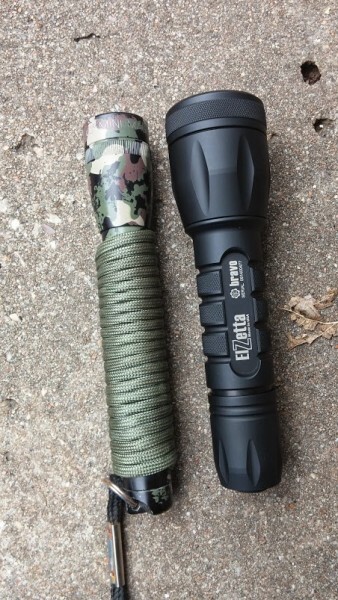 Todays tactical lights have greatly advanced since the maglite. They are nearly indestructible, have blinding levels of light, and use batteries efficiently. When I wanted to purchase a light for patrol I did a lot of research. I found that there were many Chinese made lights that had impressive features and were very affordable. These compared with the American made surefire lights who have a longstanding reputation of performance. I located a smaller company called elzetta and was very impressed. Whether or not the additional cost of the American made lights is worth you will be up to you. In this article I am going to give a lot of technical background information in order to understand the light. If you want to just skip to the end I will give you a hint, buy the elzetta. I have carried several different lights on patrol. I started with a surefire 6p LED. I eventually upgraded the led to a malkoff m60 drop in module that provide more light and was more efficient. This light has seen a lot of abuse. The tail cap is worn from the holster I kept it in on my duty belt. The bezel is dented and scratched from dropping it and using it to knock on doors. I eventually switched to an elzetta but lost it after only a few months. As I was emotionally distraught from losing the elzetta I purchased an affordable Klarus XT-11. This light has worked fine and survived several drops onto asphalt. When the department began issuing cargo pants I moved the light from my belt into the left side cargo pocket. The cargo pocket has worked well for me and I dont have any issues with accidentally activating the light. Historically flashlights have used incandescent bulbs. This is a piece of wire that heats up and creates lights. These have the disadvantage of being fragile and inefficient with power. For example the surefire G2 and G2X are nearly the same light except the G2 is incandescent and the G2X is led. The G2 produces 65 lumens for 1 hour and the G2X produces 320 lumens for 2.5 hours, per surefire specs. I began my search for a new light and stumbled across a company called malkoff devices. They were known for making the best aftermarket led modules for surefire and other lights. They created led modules that would drop into surefire lights. I then found that elzetta made lights that were specifically designed around the malkoff module. Elzetta advertised themselves as making the toughest flashlights on planets. 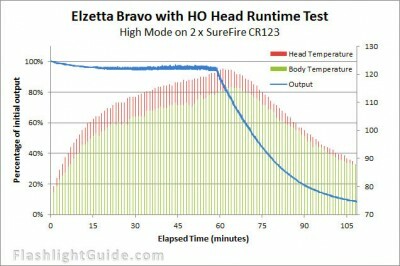 I was familiar with surefire and wondered if elzetta’s claim could be true. Before I fully examine the elzetta light I need to cover some flashlight basics. On nearly every light you can find, the amount of lumens the light makes will be a big part of the marketing. Lumens are a measurement of how much light is produces. Unfortunately measuring lumens isn’t as straight forward as it would seem. To standardized the measuring process the FL-1 standard was created. The basics of this standard are that the light output is measured after the light is on for at least 30 seconds and runtime is measured until light output drops to 10% of its original value. Only the measurement at 30 seconds counts for the advertised lumens of the light. 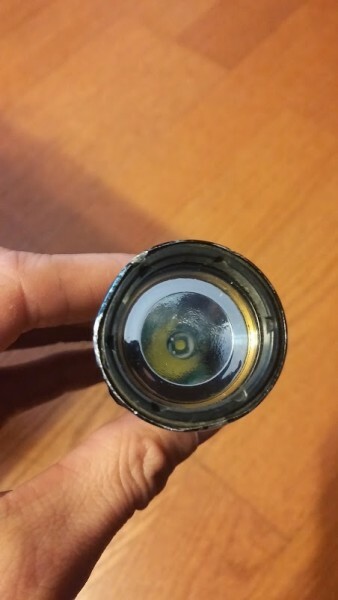 In an ideal flashlight it would turn on and maintain 100% output or very close, and then when the batteries were almost dead the light would give a few minutes of decreased output to let the user know the batteries were dying. With the FL-1 standard in a worse case scenario the light could make 1000 lumens for 30 seconds then drop output to 100 lumens and maintain this for a ridiculously long runtime. 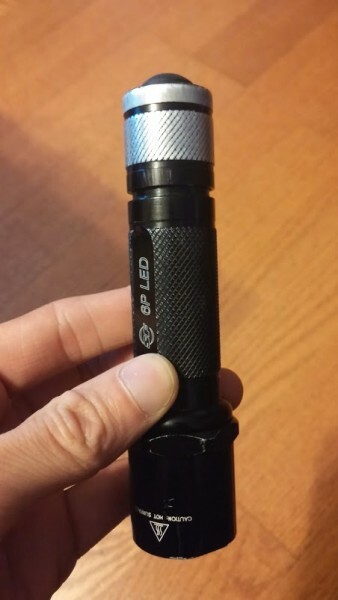 The ideal flashlight and the bad one described would both advertise that they produce a 1000 lumens and the buyer wouldn’t know that they were being deceived. Although it isn’t outright lying in many cases advertised lumens are deceptive. Many light manufacturers, including some well known lights are concealing the exact specifications of their lights. What the manufactures are doing is they make their light produce the advertised lumens per FL-1 standards. But then on most of the lights they are programmed to step down their output by 50% or more around the 4 minute mark. After the lights are turned off and on again they reset and run at full output for 4 minutes or so. In practical application this isn’t a huge deal as it is easy to turn the light off and then back on. It does deceive the buyer if they are trying to compare two lights. It also makes it extremely difficult to obtain accurate run times to see how efficiently the light uses power. Lumens tell how much light is producing but it doesn’t tell how the light looks. To evaluate how the light looks the main characteristics are spill and throw. For example the light in your house lights up the whole living room but wont illuminate something 100 yards away. This type of light is almost entirely spill. Throw is the opposite, it is keeping the beam of light tight so that something at distance is illuminated but directly to the sides of the light there will be little illumination. There is no ideal combination of spill and throw. It depends on the application. For cqb distance more spill would be required. But for a field search or trying to find someone in a yard more throw would be better. Modern tactical lights try to make a compromise between spill and throw. They will have a hot spot in the center of the light beam and then a lesser amount of light off to the sides. This compromise allows the light to be good in most circumstances. There are different ways for light to accomplish this but the best ones do it without any dark rings or artifacts in the light pattern. 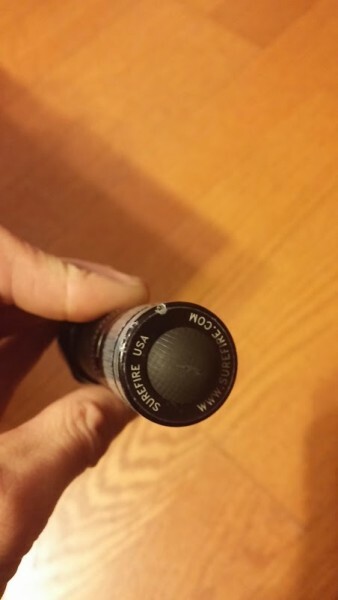 If you have an old maglite you can see this. If you shine it at a wall you will see dark rings in between the areas where the light illuminates. There are several lights on the market that are producing 1000 lumens or more. I have heard the comment that a light will be too bright and blind the user. I have not found this to be the case and the amount of lumens needs to be put in perspective. For example a standard incandescent 60w light bulb makes around 800 lumens, a 100w bulb around 1000 lumens. 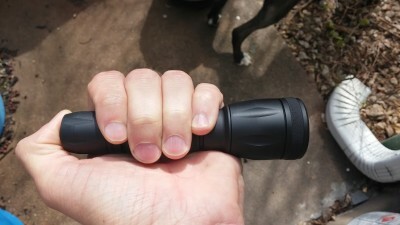 A 600 or 1000 lumen flashlight is not some blindness wielding saber. Of course they will cause temporary blindness if you look directly into the light, so don’t shine it at yourself or in a mirror. In my experience I have found that a light of 500 lumens or more is very useful at night during traffic stops. With this amount of light you can penetrate all but the darkest of window tint. 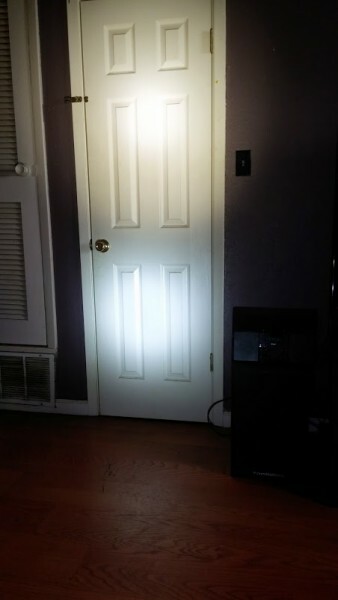 With dark tint you can press the flashlight directly against the window so that there is no glare bouncing back. With a powerful light it is like turning on the vehicle’s interior light. I have never been searching a house or walking up to a car on a traffic stop and thought, I wish my light was dimmer. There is a possibility that if you were in the woods or a similar situation you would have enough time to fully develop your night vision, this takes about 30 minutes of darkness. Even in this case anything but just a few lumens would immediately wash out your night vision. 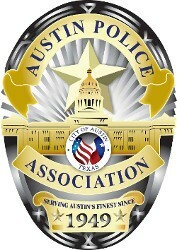 In police work this is very unlikely as you are constantly around light such as, headlights, street lights, porch lights, or even a computer screen. 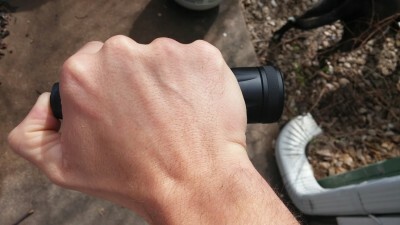 If you are using a hand held light you are depending on the illumination it provides and not your own night vision. One of the major features of advanced led lights is regulation. This contrasts with incandescent lights that were typically unregulated. This meant that when the incandescent light was turned on with fresh batteries that would be the brightest light produced until the batteries were replaced. As the batteries drained the light would produce less and less light, like the light pulled out of the junk drawer that barely turns on. Regulated lights use electronics to control the light and power supplied from the batteries. Ideally with new batteries the light produces the maximum amount of lumens and continues to do this until the batteries are almost exhausted at which point the light will go from full output to nothing in just a few minutes. With regulation the electronics keep the power provided to the led at a constant rate even as the batteries are draining. When the batteries no longer supply enough power to keep the light regulated they drop into unregulated mode. At this point the batteries will be almost depleted. Picture of potted elzetta module. 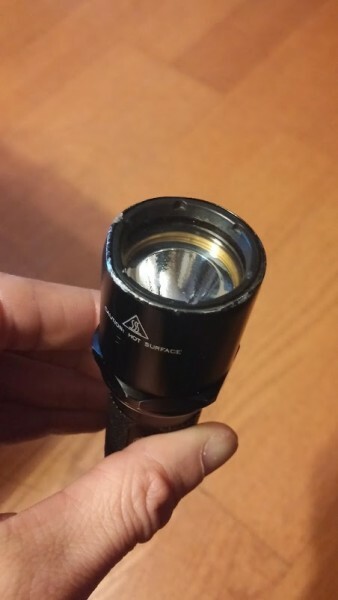 When more electronics are added to flashlights it adds more things that can break. This can be remedied but it costs more. The fix is something called potting. After all the electronics are put together a special type of epoxy is poured over them. This is allowed to cure. The epoxy locks everything in place similar to how rebar and concrete work together. The result of potting is that the light is extremely shock proof. 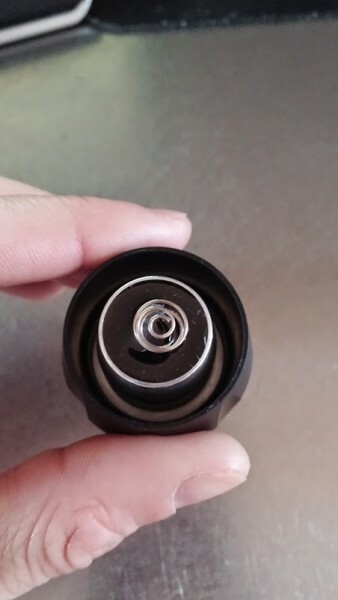 There is nowhere for the soldered connections to break apart as they are completely encased in epoxy. Most of the Chinese manufacturers skip this step. Unlike incandescent bulbs which all have similar color temperatures, led lights can be made to different color temperatures. Color temperature is simply a way to define the color of the light. Most flashlight leds will be cool, neutral, or warm. A cool led will have a blue or violet tint. How prominent this tint is depends on the light. High end lights or aftermarket drop in modules will give a specific number so you can tell just how much color the light will have. A neutral light is white and should have very little or no color. Warm leds have a yellowish tint to them. Incandescent bulbs are warm to very warm. In the photo below the bottom light is an old incandescent surefire E2E. The top light is a much brighter neutral led. I prefer a neutral tint led. Led lights are most efficient with the cool tint. Some manufacturers let you choose between different leds in the same light. Although you get the most lumens from a cool tint led I dont like the way it illuminates. Particularly on grass or foliage the cool tint tends to wash out color and make things look very dull. It can make a black or dark item, like a pistol or blood, and the grass appear the same color. Neutral leds just produce white light. Warm leds are the least efficient although colors are very discernible. If you have an incandescent light laying around you can shine it on a white wall or door and see the yellowish tint. The first thing I notice when I open the packaging is that the light is smaller than I anticipated. It is within a half inch of other two cell lights I have used. The design of the elzetta seems more sleek. In my hand when I hold it everything but the head is covered but I am able to get a full grip on it. The advancement in technology is remarkable when you consider that this light is a little shorter than an old AA maglite. That AA maglite would have only made 5-10 lumens with an incandescent bulb. The elzetta makes more than that in the low setting. It is rated for 650 lumens in high. The hard anodizing finish is smooth and even and makes the light a matte black color. All of the knurling is even and sharp. The threads are cut well and threading pieces of the light on and off is smooth with no grit or roughness. The threaded pieces fit together tightly without play in the threads. I really like the design of the head. It has slits in the side of it that blend well into the light but they prevent the light from rolling around if you set it down on a flat surface. The chinese lights I have seen also have a nice finish but there is a definite difference in the threading. The chinese lights I have seen have sloppy threads that don’t lock up until the piece is fully tightened. I ordered this light with the high/low clicky tail switch. If you partially press on the button the light turns on until you release. If you press all the way down the light locks on. The button has a deep throw so that you can easily momentarily turn on the light and not accidentally lock it on. The button is nearly silent when it clicks. If you loosen the tail cap a quarter turn the light enters low mode and the button still works the same way. One thing I don’t really like about this tail cap is that there isn’t a lock out to prevent the light from on. This is a nice feature if the light is carried in a bag or backpack. By locking out the light you can be sure it wont accidentally be turned on and drain the batteries. If you unscrew the tail cap to the point that the light wont turn on you are only one revolution from the tail cap coming off. The beam the light emits is the one thing that really sets it apart from other lights. The elzetta uses a solid piece of acrylic to make a lens. Most lights use a reflector that is covered by a plastic or glass window. By using a lens elzetta has much more control over the profile of the beam. I compared the elzetta to several other lights. The light has a center hot spot surrounded by a less intense spill area, same as the other lights. The difference is that the center hot spot and spill are both approximately half the size of the other lights. The center hot spot is visually the same intensity as a light with similar lumens. The big difference is that the spill area appears two to three times brighter than a comparable light with a reflector. The practical implication of this is that the light will illuminate things to a usable distance but up close like in a house the overall room illumination is much better. To me it is kind of in between a flood lens and a normal lens. This compromise makes the light very good for police work. The center hot spot is intense and is useful for a vehicle approach or field search but the spill makes it very nice in clearing a house or building. If you pick up almost any other light with a similar lumen rating it will probably appear brighter if you shine it on something 100-150 yards away. If you compare the same lights indoors the elzetta will make the whole room more illuminated. I know I do more work inside buildings than I do searching fields so I like this compromise. Elzetta stated that the lens provides a soft edge beam profile. They are referring to the boundaries between the center hot spot and surrounding spill. To me it looks like the spill is so much brighter than other lights that the boundary appears less because the transition is less noticeable. Either way I like it and makes the beam very usable for a variety of different tasks. The light has an interesting tint. After using it for a while it looks like the center hot spot is a neutral white. The surrounding spill has a slightly warm tint to it. I don’t have any issue with this. It does show that elzetta didn’t opt for a cool tint led which is easier to get more lumens out of but at the expense of poor color rendering. In practical use the difference between the hot spot and spill doesn’t impact anything, in fact it took me quite a while to notice it. Even then I probably wouldn’t have seen it if I hadn’t heard it mentioned somewhere else. In the picture the elzetta is on top and a klarus xt-11 is on bottom. Notice the spill of the elzetta around the door frame. These pictures were taken in the middle of the day with window blinds open. Overall I am impressed with the light. I have been concerned about scratches on lenses of lights that use plastic window. I don’t know how easily the elzetta lens will scratch. I do know it is a solid piece and would be nearly impossible to break. Elzetta sells replacement lenses as well as flood and red lenses for around 10 dollars. The tail cap takes two full revolutions to put on or take off. I prefer more thread engagement, but its just a preference. The low setting of the light is stated as 15 lumens. This works fine but I like 50-75 lumens in low. My main use for the low setting is searching cars. The high setting is too bright if you are looking for a very small object in the upholstery of a car, it washes out your vision. 15 lumens works ok and is the right amount for walking in the dark, it illuminates about 4 to 5 feet in front of you. One great thing about the low setting is that it literally lasts for days. This would be nice during a natural disaster if you didn’t have replacement batteries. You would still have a usable light that wouldn’t die. In order to compare flashlights and evaluate the results they need to use the same led and batteries. To compare the illumination the heads also need to be of similar size. A larger head can greatly increase the throw of the light. This comparison will focus primarily on runtime and output. The surefire P1R, Elzetta Bravo, and Klarus XT-11 are all very similar lights. They all use a cree XM-L2 led. This is the highest performing led on the market right now for this application. The surefire and elzetta are around 5.5 inches long and the klarus is 5.8 inches. The surefire and elzetta are both american made lights and the klarus is Chinese made. The surefire and elzetta both retail for around 200 dollars. The klarus can be found for 65 dollars. The surefire and klarus will accept rechargeable 18650 batteries and standard lithium CR123A (123a disposable) non rechargeable batteries. 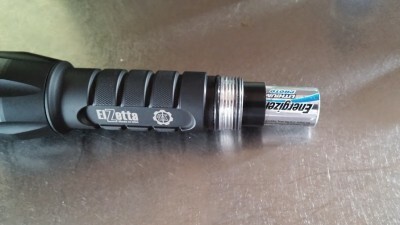 The elzetta only takes 123a batteries although it can be found aftermarket with the battery tube bored out in order to accept the 18650 batteries. 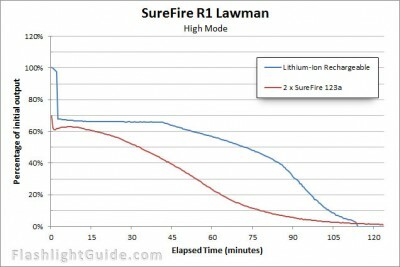 The following comparisons are using non rechargeable lithium batteries. As explained earlier some manufactures program their lights to step down after a few minutes. The klarus does this this. After approximately 4 minutes the light steps down from full output to 60% percent of output. 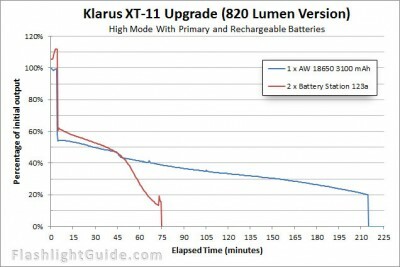 If the klarus is turned off and then back on it resets and will have full output for 4 minutes. The surefire begins dropping output at a slow but steady rate. The elzetta is the only one the maintains full regulated output for a considerable amount of time. The elzetta and the surefire both take around 60 minutes for output to drop to 50%. The big difference is that the elzetta maintains 95% output or more until 60 minutes. The surefire has a steady decline and is at 70% of output at 30 min. Once at 60 minutes the surefire is around 55% output. It then continues a steady decline until the batteries are depleted. 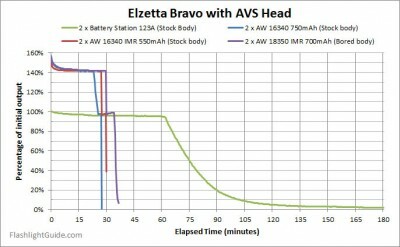 The elzetta maintains almost the same output from the first minute until 60 minutes where it then has a steep decline. The klarus is difficult to fairly compare because it cuts output by around 50% percent after 4 minutes then has a gradual decline, but at 30 minutes it is around 50% output. The graphs below were provided courtesy of http://www.flashlightguide.com. Take note of the difference in regulation and amount of time the light provides its full rated output. On the bottom two graphs note the obvious step down in output after a few minutes. Although all three of these lights use the same led they use power differently. The elzetta has the best regulation and maintains close to 100% output for a much longer time. Elzetta does not sale their lights with the capability to take rechargeable batteries. I have read elzetta’s opinion on this. They have stated that they want their lights to be as tough as possible and this is accomplished through the use of non rechargeable batteries. There are a couple reasons that make non rechargeable batteries a little better. They tend to be more consistent than rechargeable batteries in their quality. Depending on the manufacturer of rechargeable batteries that are used and even battery capacity, a situation can occur where the light runs very well but there is little to no warning when the batteries are depleted. The light can run at full output and drop to nothing in 2 minutes or less. Non rechargeable batteries will typically have a very long taper allowing usable light but letting the user know to replace the batteries. Non rechargeable batteries also have an exceptional shelf life if stored indoors, up to 10 years. 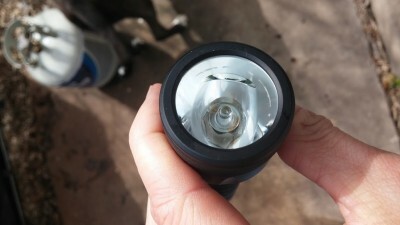 Although I do agree that non rechargeable batteries are the best choice for an extreme hard use flashlight (weapon light) rechargeable batteries are nearly as good and offer many advantages. If disposable batteries are used in a 2 cell light, rechargeable batteries equal the cost in about a year. $4 a month for disposable compared to $20 plus the price of a charger for rechargeable batteries. I believe that rechargeable batteries are the future of tactical lights. Most 2 or 3 cell lights can be produced so that they will accept both rechargeable and non rechargeable batteries. An 18650 battery is the same length as 2 CR123A batteries, and two 18500/18490 batteries are the length of 3 CR123A batteries. The only issue is that rechargeable batteries have a slightly larger diameter. 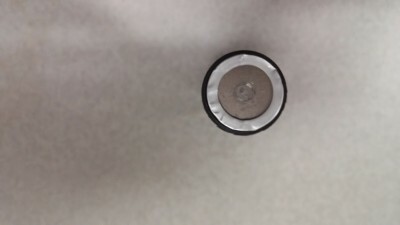 If disposable 123a batteries are used in a flashlight bored for rechargeable batteries they can rattle a little in the battery tube. This problem is easily fixed by using a plastic sleeve around the batteries or even a business card. The other issue is the quality of rechargeable batteries. There are multiple manufacturers of these batteries and some are much better than others. This issue is also easily solved by recommending known quality brands such as the AW 18650 protected 3400mah or AW 18500 protected 1500mah. There are other quality brands but these batteries are very good and have exceptional power storage ratings. 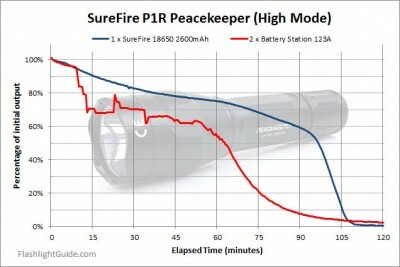 For comparison the 18650 sized battery that is included with the surefire p1r peacekeeper has a rated capacity of 2600mah although it could be upgraded with the AW battery. There are several lights on the market that have a port for direct charging on the flashlight. I prefer to remove the battery for charging. I like this because it removes the charging electronics from the light, which is another point where the light can fail. I also prefer to keep a spare charged battery with my gear so I can quickly swap it out if the light begins to dim and then just put the battery on the charger later. In some lights the additional charging electronics add length to the light. Since most of the lights will also take disposable batteries I keep a few of those for emergencies so the ability to charge directly on the light doesn’t add anything for me. I really think elzetta is missing the future and customers by not making their lights accept rechargeable batteries. The rechargeable batteries are a small compromise and their weaknesses are easily addressed by selling or even including a sleeve for disposable batteries and recommending and selling quality rechargeable batteries on their site. Bored elzetta lights that accept rechargeable batteries can be purchased from oveready, when they are in stock. There are also businesses that will bore flashlights to accept rechargeable batteries. There are small rechargeable batteries that are made to be direct replacements for 123a batteries. These can only be used in the 2 cell elzetta and not the 3 cell. They have relatively low power storage and result in low runtimes. The 18650 and 18500 sized batteries are the best choice for rechargeable and the industry standard. Almost every officer looks at their light as just another tool although next to the radio it is probably the most used item. 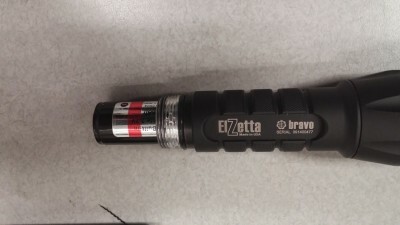 It is rare to see a high end light such as a surefire and I have never seen another officer with an elzetta. Almost everyone I see uses an issued stinger style light or one of the many chinese made lights. Because the lights are frequently used batteries are an issue whether they are rechargeable or disposable. Because the light is viewed as a tool most officers don’t want the extra expense of regularly buying new batteries. While some officers may pay the initial premium for a nice light they don’t want the ongoing cost of disposable batteries. While I was doing some work on this review I found a bored elzetta on oveready. I purchased the light with a standard smooth bezel and a high/low tail cap. I expected the light to be more expensive because of the work to bore the body but it was the same price as the light on elzetta’s site. There are some things that make the elzetta unique when used with rechargeable batteries. In the standard configuration the AVS light module has the ability to make 650 lumens with 2 batteries or 900 lumens with 3 disposable batteries. By choosing different sized rechargeable batteries you can get 900 lumens or 650 lumens out of the 2 cell sized elzetta bravo light. The first two pictures are standard 123a batteries in a derlin sleeve. Although there are a few different options the best battery choices are a single 18650 battery or 2 18350 batteries. With the 18650 battery the light produces full output for close to 40 minutes. After 40 minutes the light slowly declines in output. It continues to make light for 3 hours. This is close to the regulated output time for disposable batteries but with an exceptionally longer runtime at reduced levels. With 2 18350 batteries the light produces 900 lumens for a full 30 minutes. After 30 minutes the light output drops off immediately and within a couple minutes it is completely dead. By using different types of rechargeable batteries the light can match the output of the larger elzetta model, but with half the runtime. The light can also use a single rechargeable in order to get a phenomenal runtime of 3.5 hours. If you change that battery more frequently you can keep the full output from the light. I had a small issue with the bored elzetta. If the light was turned on and I twisted the tail cap from high to low there would be some flickering. 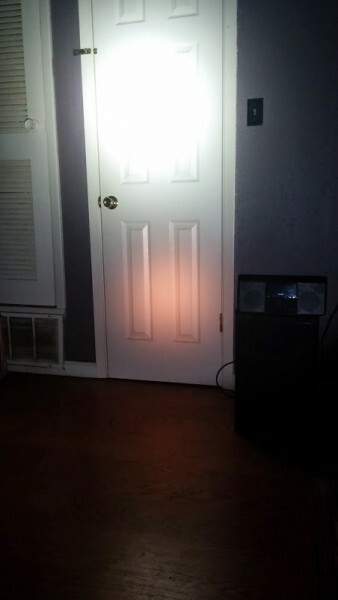 This didnt happen once the light was left in one position. I believe the boring may have thinned the end of the battery tube where the tail cap makes contact. I stoned the bottom of the battery tube on a very fine knife sharpening stone that flattened the edge slightly. This fixed the issue. 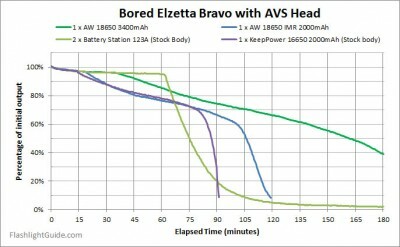 These graphs show the output on the elzetta with rechargeable batteries in a bored body. The embedded video is some extreme testing of the elzetta. The amount of abuse the light takes is impressive. 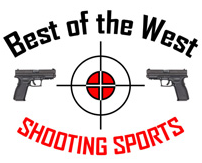 I also highly suggest checking out http://www.flashlightguide.com. There are many high end flashlight tests on the site that include run time graphs and very nice beam shots where you can see how the lights illuminate in real conditions. If you stuck with this review to the end I am guessing that you really like flashlights. 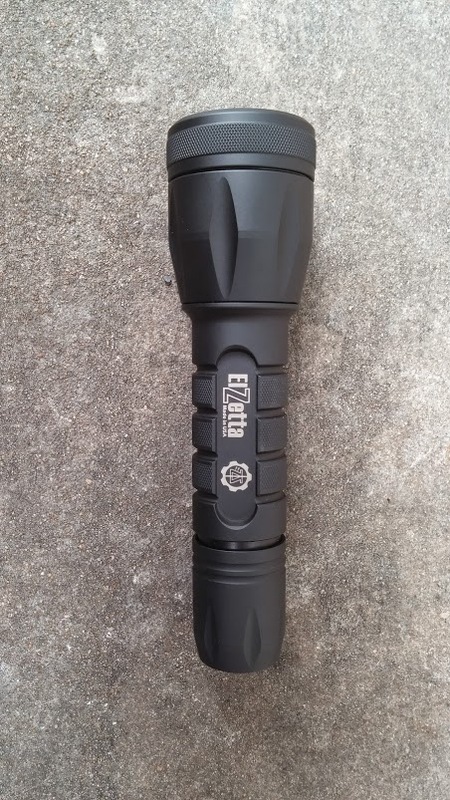 I do believe elzetta makes one of the best lights that is available. I believe they are incredibly tough. Hopefully I have provided enough information so that you can choose the light that is best for you.